At Circle BMW, our highly qualified technicians are here to provide exceptional service in a timely manner. From oil changes to transmission replacements, we are dedicated to maintaining top tier customer service, for both BMW Service and Genuine BMW Parts! Allow our staff to demonstrate our commitment to excellence. WHY SERVICE WITH CIRCLE BMW? The average BMW costs more than $30,000, so having it serviced by top professionals is critical. Circle BMW offers the highest level of technical training, state-of-the-art equipment and factory specific parts. Circle BMW invests in continuous training to ensure that technicians are up-to-date on today’s increasingly complex vehicles. Having factory trained technicians work on your vehicle means that each repair is performed and completed properly to factory specifications. In today’s world all technicians must be trained experts in the electronic and mechanical aspects of each BMW model. At Circle BMW, we are proud to employ the largest staff of BMW Master Technicians in New Jersey. Some BMW diagnostic equipment can cost more than $100,000. As a result, many independent shops do not have the proper equipment to diagnose a problem. This means more time to identify the problem and higher costs. Circle BMW carries genuine BMW parts to cover all repairs in a timely manner. Using genuine parts guarantees that the repair is maintained to factory specifications. Circle BMW’s reputation is built upon customer satisfaction, that’s why we guarantee that each repair is performed correctly. Also, genuine BMW parts carry additional manufacturer guarantees. Servicing your vehicle with Circle BMW eliminates the possibility of voiding the warranty for failure to meet factory requirements. Extended service contracts can also be purchased from Circle BMW for added protection down the road. 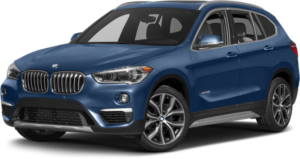 To ensure convenient service, Circle BMW offers loaner vehicles, customer lounges, quick drop off service, shuttle service and a night drop box. Circle BMW offers competitively priced service specials in addition to the best BMW service in the area. In both sales and service, satisfaction is the primary goal at Circle BMW. The best way to achieve this is to offer the best service support for your BMW at the best price. Give your vehicle the finest care at the Circle BMW service center on Rt. 36 in Eatontown, NJ, not far from Middletown, Asbury Park, Holmdel, Colts Neck & Rumson. For more than 30 years, our staff of highly trained technicians have specialized in BMW maintenance and repairs, attentively providing complete vehicle service you can count on. Our state-of-the-art BMW service center offers an unparalleled maintenance experience for every Ultimate Driving Machine®. At Circle BMW, we do more than sell cars-we provide comprehensive care for your vehicle. Only an authorized dealership provides the very best care from professionals that specialize in BMW. Don’t compromise on vehicle care, especially when you are driving such an exquisite car or SAV. Stay safe on the Parkway or the Turnpike, and ensure your vehicle is ready for unpredictable Garden State driving conditions with regular maintenance. Our BMW service center delivers an all-inclusive range of services and amenities. Technicians use BMW-approved diagnostic equipment and furnish your vehicle with genuine OEM BMW parts in NJ. Enjoy complimentary loaner cars, free Wi-Fi, gourmet coffee, and a free car wash each time you visit. To make BMW maintenance even more convenient, use our courtesy shuttle service. Schedule your visit today. As one of three M Certified Centers in the Garden State-and the only Certified M Dealer in Monmouth County – our technicians offer in-depth knowledge on this exclusive collection of vehicles. As such, we can also expertly maintain your BMW M Series so it stays in peak condition. See how easy it is to set up a service appointment, choose a BMW maintenance plan or find more resources online. Schedule Service Appointment: Whether you come from Holmdel or Seaside, arrange your visit to our state-of-the-art BMW service center in Monmouth County.